One of the things that makes the English language so flexible is the wide choice of different words meaning, more or less, the same thing. To describe someone powerful, you can use the words durable, forceful, vigorous, robust and many other words. The reason why English can do this is because English borrows words from all over the place. The word strong is from German roots, while the words durable and robust are from Latin roots. Chamorro also borrows from more than one language, but especially from Spanish, the language of the government of the Marianas from 1668 till 1898 (and 1899 in the Northern Marianas). While the indigenous language has a word for "life," being lina'la', and "to live" being "lå'la'," our forebears also adopted the Spanish word vida or "life." Our pronunciation for it is bida. The main meaning in Chamorro of bida is "action" or "activity." Certainly, action and activity are signs of life. Håfa bidå-ña? What did s/he do? But we can also ask, "Håfa ha cho'gue?" and mean the exact same thing, "What did s/he do?" but using the indigenous term cho'gue ("to do"). Tåya' bidådå-ña. "S/he is doing nothing." 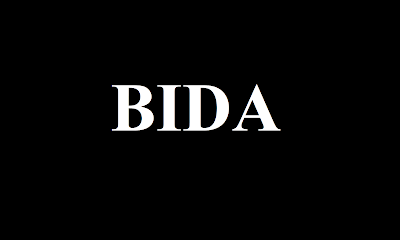 Bida can also be used in a passive sense, meaning "what is done to someone else." Ai ma bidå-ña! "Oh my, what was done to him!" Tai bida ("without action or activity") can be used to describe a person with nothing to do. Malabida is a word meaning "bad life," but can mean a person who has done something wrong. But Chamorro also uses bida to mean "life" itself. Fewer and fewer Chamorro speakers use the word in this way, but old writings clearly use it, even though we have had long before the Spaniards our own word for "life," which is lina'la'. So, we have two ways to say "life" in Chamorro : bida and lina'la'. So, in the example above, from the Apostles' Creed, we can say "taihinekkok na bida" to say "everlasting life," or we can also say, "taihinekkok na lina'la'." In fact, we switch between the two depending on the island or even depending on the techa (prayer leader). In this hymn from Saipan (which has spread elsewhere), the title of the song is "Jesus Bidå-ho," meaning "Jesus My Life." But one could just as easily say, "Jesus Lina'lå'-ho," "Jesus My Life." because you are not joined to my life. på'go yan i oran i finatai-ho. now and at the hour of my death. Two ways to say "life." Lina'la' and bida. One indigenous to the Marianas and the other borrowed from Spanish. Because we have incorporated many Spanish words into the Chamorro language, we actually have a linguistic connection with Latin, the language of ancient Rome. Because Rome conquered so much of Western Europe, the Latin language was planted there and over time developed into Italian, Spanish, French and many other languages and dialects of those languages. 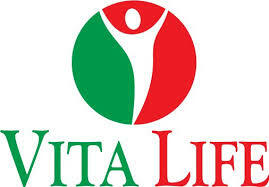 So, in Spain, the Latin word for "life," vita became vida. Then Spanish vida became Chamorro bida. From Latin vita we get English words based on vita, since French also influenced English. Some of those words are vital, vitamin and vitality.